ADORABLE!!! I got the disk, gave it to hubby early..he loves it!! Most awesome gift..thanks so much! 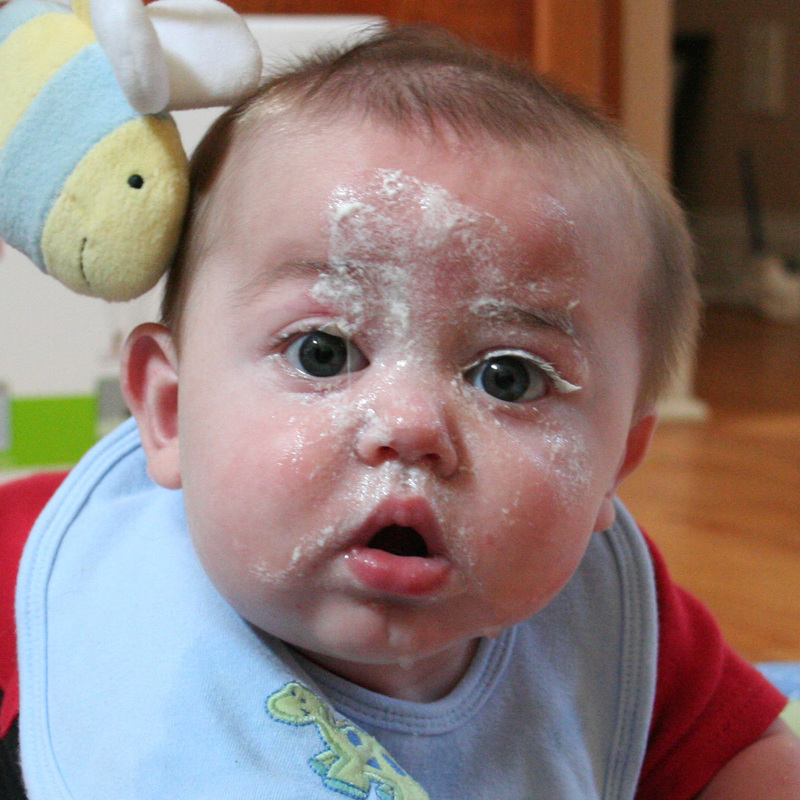 I always crack up when mine get powder on their faces. It’s so funny even when they are 2! Okay, so we’ve got the loose powder application mastered. Time to work on the blush. oh luke! that face is adorable plain, powdered, with spit-up, whatever. love him!